No cases of serious liver injury have been reported with ellaOne and there are no concerns with this medicine at this time. Definition and risk factors for chronicity following acute idiosyncratic drug-induced liver injury. It was reported that inhibition of MMPs by broad-spectrum inhibitors significantly alleviated liver injury induced by C[Cl. 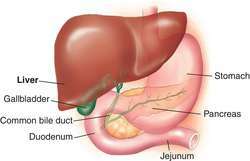 Liver injury was evaluated by serum enzyme activities and hepatic histopathological changes. A panel of traditional markers of BDL-induced liver injury (AST and ALT), cholestasis (TB), and fibrosis (relative fibrotic area) was assessed in order to validate the BDL animal model (Table 1). 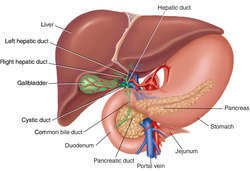 If there are no signs of liver injury after about 3 months, liver panel (sometimes referred to as serum chemistry) monitoring intervals in longer clinical trials can be increased to once every 2 to 3 months. 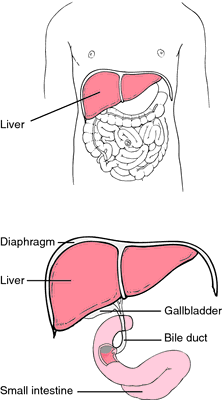 13) The pattern of liver injury also varies by age. Mengual-Moreno, E, Lizarzabal-Garcia, M, Ruiz-Soler, M, Silva-Suarez, N, Andrade-Bellido, R, Lucena-Gonzalez, M, Bessone, F, Hernandez, N, Sanchez, A, Medina-Caliz, L Case reports of drug-induced liver injury in a reference hospital of zulia state, venezuela. 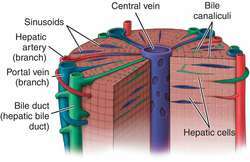 16) Within the United States, the Drug-Induced Liver Injury Network (DILIN), funded by the National Institutes of Health (Bethesda, Maryland), began enrolling patients in prospective analyses in 2004; as of now, the network has collected more than 600 cases at 12 participating US sites. The author has organized the main body of his text in twenty-two chapters, covering the general approach to biopsy assessment and reports, the almost normal liver biopsy, liver injury patterns, acute and chronic viral hepatitis, and a wide variety of other related subjects. The NLM LiverTox is a free Web site providing up-to-date, comprehensive,and unbiased information about drug-induced liver injury caused by prescription and nonprescription drugs, herbals, and dietary supplements. Over 1000 medications and herbal products have been involved in causing liver injury etiology, and the list continues to grow.